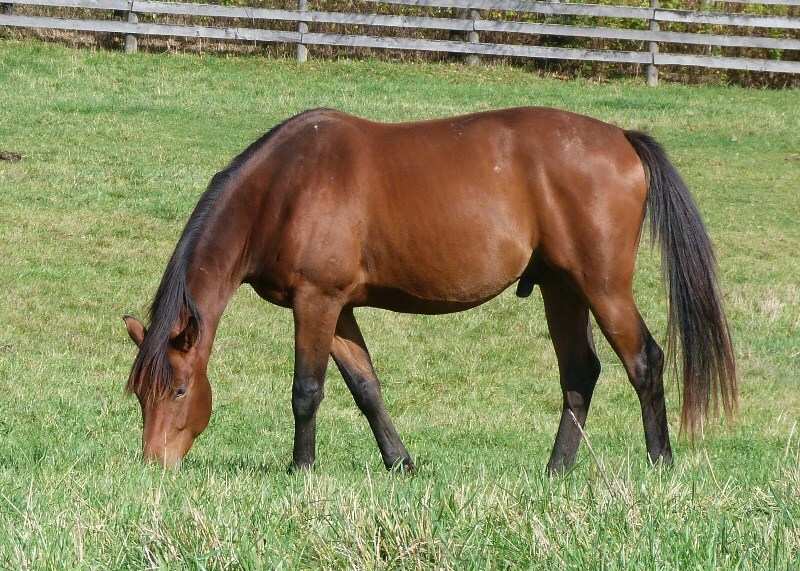 Ollie's dam, Oliva, was imported from Germany in the fall of 2008, as a complement to the genetic base of our broodmare herd. She came with the very best recommendations from the 2008 central mare grading in Germany, where she was not only the unquestioned champion, but also the best Anglo-Trakehner filly of the Neue Lander/South region. She is one of the few Trakehner daughters of TB Prince Thatch.